After all those fake rumors, I was glad to hear news from one of my trusted sources. This source may be wrong but at least it is not intentionally delivering fake rumors. I have been told (thanks) that the Canon EOS 80D will feature a 28MP sensor. The source mentioned also a “more advanced AF system” (compared to the EOS 70D). I am not sure what to think here. I do not believe the EOS 80D will get the same advanced AF system as the EOS 7D Mark II, but anything is possible. If I am not wrong, there was a rumor floating around the web a month or two ago that also suggested a high resolution for the EOS 80D. The source also said that the EOS 80D will get some of the features of higher models. 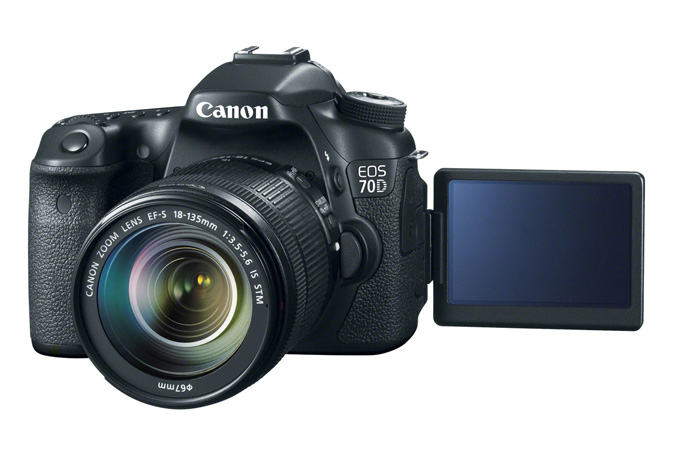 The 70D got the AF system of the EOS 7D, and it is usual practice by Canon to add features of higher models in a new mid-level camera. So what can we expect from the EOS 80D? Other rumors I got (by less reputable or unknown sources) suggest the EOS 80D will get the anti-flickering technology employed on the EOS 7D Mark II but I am somewhat sceptical about this feature being implemented on a mid-level DSLR like the EOS 80D. Dual Pixel AF will not get lost, that’s sure. It will likely have a new AF system but it is unclear how advanced it will be. In the past I got a suggestion the EOS 80D may have focus peaking on board (introduced with the EOS M3). That would be a powerful and very welcome addition to the next xxD model, though I do not think Canon will feature it on a DSLR. WiFi and NFC will also be on board, but no GPS. Another suggestion I got, says the EOS 80D will have something around 8fps (the 70D has 7fps), which is a plausible frame rate for this camera. Sure thing that the EOS 80D will have a tiltable display, one memory card slot, and no dual CPU (like 7D2). Please note that it may still be early to have reliable specs for the EOS 80D. Take anything with the usual salt. The EOS 70D was announced in July 2013. Since the announcement of EOS 60D Canon released a new xxD model every three years. 2016 would be year of the EOS 80D. There have also been some suggestion about the announcement, nothing to take seriously. The EOS 80D will likely be announced in Summer 2016. However, given Canon recent and not foreseen announcements and technological innovations, I wouldn’t be too much surprised if the EOS 80D would be announced before the expected time-frame.